Brian and his crew have advocated for sports fans since 2009, but they are basically brand new to the soccer landscape. In just a short amount of time, they’ve already picked up on some very, very suspicious activities, relationships, and deals within US Soccer. To “SUM” it up quickly, Brian smells smoke and now he’s looking for the fire. He wants to help American Soccer fans out by doing the dirty work. And this podcast is intended to be an introduction to him and his work. This conversation with Brian is possibly the most unfiltered in this podcasts history. Not because there is a bunch of cussing, but because Brian and I literally knew nothing about each other and recorded the first conversation we ever had. We didn’t do a pre-interview. We didn’t set any boundaries. We still don’t have each other’s email addresses. We simply spent an hour on the phone talking about some things that we think are problems. This podcast is powered by the 3four3 coaching education program. 3four3 offers a free 7-week course and a premium course. The free 7-week course is a great introduction to 3four3’s proven possession-based methodology. The premium course takes a deeper dive with exclusive training sessions, full match videos, audio interviews, classroom sessions, ebooks, and access to the nationwide community of 3four3 members via the online forums. 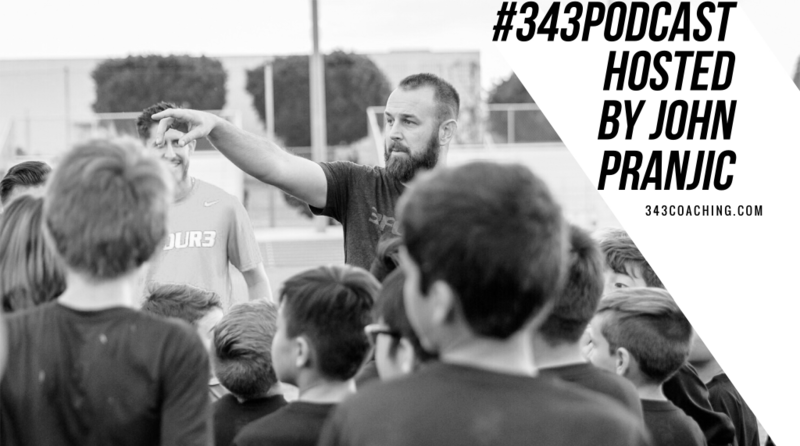 The 3four3 coaching education program gives you an inside look at the cutting edge training methods that are being used to develop pros here in the United States. Good stuff. The book ‘Soccernomics” explains why team owners want taxpayers to foot the bill for their stadiums. In a nutshell: There’s a strong correlation between long-term performance and player wages (i.e. paying to have the best players translates to wins). If your competition spends less than you on a stadium b/c taxpayers foot the bill, and you don’t, you won’t be able to afford as good of players, which means less success on the field and fewer people in the stands. The authors also discuss that while there’s a perception of huge profits in major sports teams, they’re actually relatively small (compared to other industries) because of the above dynamic. Manchester United, one of the most highly valued teams in the world, clears about $50m a year. Sounds like a lot. But that’s about 1/8th the amount as my medium sized local electric company that you never heard of. They quote someone as saying, club’s are basically a vessel for transferring the sport’s income to the players, and it’s a good thing there are wealthy folks (who made their money elsewhere) who want to own sports teams that don’t care too much about the financial return (of course, they hope to make their money from the next rich person who buys it from them, not necessarily off operations). The above dynamic may be one reason for the MLS single-entity/SUM structure — they’re trying to prevent wage competition between teams that eats into owners profits and SUM gives them a way to shield some of the revenue from players. Maybe? Yes, pro soccer clubs are not good stand-alone, traditional, businesses. However, they aren’t just playthings of the wealthy as some suggest. They seem to be excellent leverage for the owner’s other businesses and are also used as political launchpads/vehicles. A club’s balance sheet never captures these things. Clubs are a great asset in those respects. The cherry on top, is this asset has also historically appreciated greatly in value. Purchase a club, then sell 5, 10, 20 years later, and the return is immense. Overall, a great investment vehicle. The American pro team sports model, the franchise model, amplifies these things further by restricting supply (ie artificial scarcity). It effectively monopolizes this asset class. Great for owners, a disaster for competition. Hi Gary — Thanks for the reply. I agree. I should be fair to the ‘Soccernomics’ authors. They also wrote about those aspects of owning a soccer club.